Editor's Note: This article by Molly de Aguiar was originally published by the Geraldine R. Dodge Foundation on Medium.com. The Patterson Foundation contributed to the Inform and Engage Fund, which helped improve access to reliable information following Hurricane Sandy. There is nothing quite like a major natural disaster to reveal huge gaps in a community’s information needs and infrastructure. When Hurricane Sandy hit New Jersey in late 2012, leaving $68 billion in damage in its wake, people scrambled for information. Where and when to buy gas during the shortage? When will the electricity be restored? How to get help from the state to rebuild damaged homes? Imagine too, if you will, a state that has long lived in the shadows of the New York and Philadelphia media markets, where the news coverage on the television and radio is not New Jersey news, but New York and Philadelphia news. 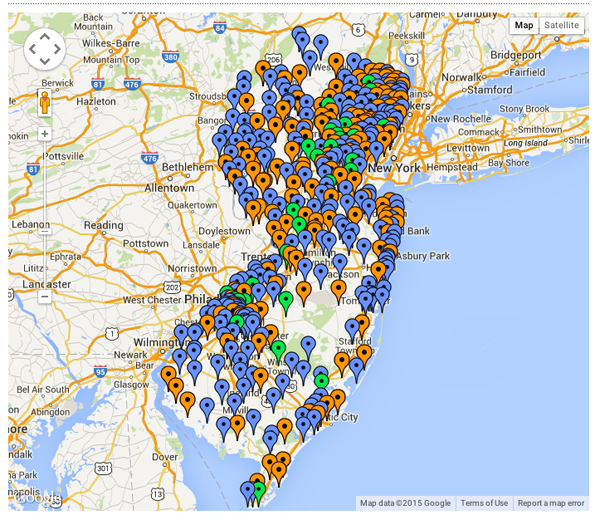 Despite a growing network of online local journalism sites in New Jersey, there simply aren’t enough outlets to adequately provide information for New Jersey’s 565 municipalities. And the municipalities themselves are ill-equipped to provide timely, accurate information to their residents. These were the circumstances in the weeks following Hurricane Sandy — a state crippled by the largest Atlantic hurricane on record — that compelled several foundations to dedicate dollars to the Hurricane Sandy Inform and Engage Fund (part of the larger New Jersey Recovery Fund), a pioneering effort to improve access to reliable news and information, and empower citizens to have a voice in the long-term recovery from the hurricane. In establishing the Inform and Engage Fund, philanthropic partners including the Geraldine R. Dodge Foundation, The Patterson Foundation, the Rita Allen Foundation, the Center for Disaster Philanthropy, and the John S. and James L. Knight Foundation, among others, signaled that community information needs and civic engagement are at the heart of sustainable, smart long-term recovery from a natural disaster. "When disaster strikes a community, the media does a spectacular job with round-the-clock coverage of emergency response,” notes Bob Ottenhoff, President and CEO of the Center for Disaster Philanthropy. “But as the disaster fades from memory, media can play a special role in keeping citizens informed, highlighting key policy issues and involving communities in important decisions. A resilient community that can bounce back quickly benefits from an engaged media environment.” When It Feels Like the Rest of the World Has Already Forgotten Where should philanthropy even begin to think about supporting community information needs in the wake of a major disaster? What did it look like in real life, post Hurricane Sandy? At a very basic level, the public needs ongoing coverage of post-hurricane issues because that intense need for information and communication doesn’t go away a month or even six months after the storm, especially when it feels like the rest of the world has already forgotten about the havoc and suffering inflicted by the hurricane. One of the guidelines of the Inform and Engage Fund requested projects that would, “provide ongoing local, nonprofit digital media coverage of the post-Hurricane Sandy recovery.” Applicants were asked to “creatively include citizens, encouraging them to get involved with the news and information process, and in the community decision-making and recovery process.” Chris Satullo, WHYY’s Vice President for News and Civic Dialogue, and his colleague Harris Sokoloff at the Penn Project for Civic Engagement have spent years developing and refining a framework for hosting public forums to discuss and explore pressing community issues like education reform and city budgets. In these forums, citizens are invited to examine the issues more deeply as well as potential solutions to problems facing communities. The forums also offer citizens opportunities to participate in the journalism coverage of these events in partnership with WHYY’s online home for news, NewsWorks.org. Not only do these forums help citizens develop a more nuanced understanding of the issues, they also foster relationships between community members, and give people a voice about the issues they care about — in other words, exactly what was needed after Hurricane Sandy. 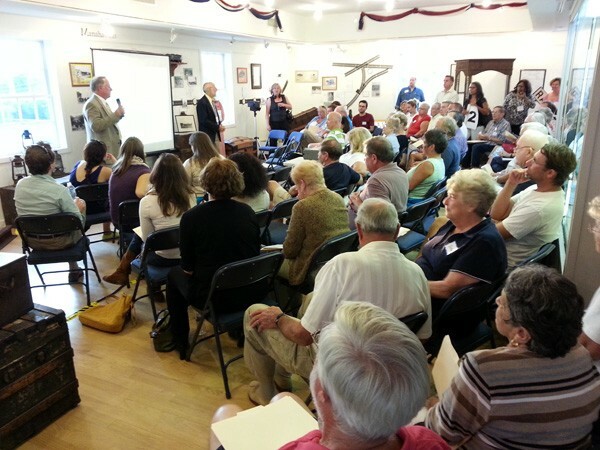 With a grant from the Inform and Engage Fund, Satullo and Sokoloff led four of these public forums in towns along the Jersey Shore, as well as one in Philadelphia (for Philadelphians who are homeowners and vacationers at the Jersey Shore), asking citizens to explore whether we should “Rebuild, Rethink, or Retreat.” The forums were also developed in partnership with some New Jersey nonprofits with deep experience in community engagement, including Creative New Jersey, The Citizens Campaign,Sustainable Jersey, and Jersey Shore Hurricane News, helping to bring in a more diverse audience and encourage a richer discussion of the issues. The forums surfaced a number of themes from the hundreds of people who attended, including deep nostalgia for the shore, fear from long-time residents being priced out of their own communities by real estate developers, and the confusion around new rules for rebuilding homes. “The diversity of the shore is at risk…it could become a place predominantly for wealthy people,” a sentiment voiced by one concerned resident was a commonly shared fear. Perhaps above all else, the forums provided an opportunity for people to share their experiences with one another and to be heard by someone — by anyone — because, they felt, that no one with authority cared to listen. Holding Leaders Accountable Another critically important aspect of fulfilling community information needs is holding government and institutions accountable following the disaster — on everything from policy making to recovery spending to transparency and information sharing. Here, the Inform and Engage Fund supported a partnership between NJ Spotlight, an online news site offering statewide coverage, and public radio station WNYC to share a dedicated Sandy recovery reporter to examine the myriad of issues that emerge following a disaster. More than two years after the hurricane, reporter Scott Gurian continues to shine a bright light on recovery-related issues, providing invaluable, in-depth coverage of complicated issues. Notably, Gurian helped expose the state’s botched funding formula for allocating energy grants to help communities install back up power for future storms. As a result of the mistakes made by the state, substantial funding went to towns left relatively unscathed by the hurricane and left some of the most impacted towns with little or no funding at all. The investigation ultimately forced the state to make hundreds of thousands of dollars’ worth of corrections. Another important point to share here about the impact that accountability reporting can have is the reach and influence of these media partners. NJ Spotlight is one of the most influential news outlets in New Jersey among policymakers, lobbyists, and others in Trenton. And WNYC has the largest public radio audience in the country with a third of their listeners based in New Jersey. Additionally, for several months Scott Gurian and Tracey Samuelson at WHYY collaborated on Sandy coverage, resulting in accountability reporting simultaneously being shared across WNYC, WHYY and NJ Spotlight (i.e. the New York and Philadelphia metro areas and all of New Jersey). Supporting True Systemic Change In thinking about what systemic change might look like — how to convince communities to willingly prioritize communications planning, information sharing and transparency, knowing that future disasters and emergencies are inevitable — two other grants from the Inform and Engage Fund stand out. One was to Washington Township, a small town in northwest New Jersey, to develop an emergency communications plan in the event of another natural disaster. Although towns along the shore suffered almost unimaginable damage, many towns throughout New Jersey, even those far from the shore, experienced severe flooding and fallen trees and power lines (exacerbated by a winter storm shortly after the hurricane). Washington Township, not close to the shore but not immune to the hurricane damage, wanted to be a model for developing a comprehensive communications plan in emergencies as well as for regular information sharing with its residents. Their grant allowed them to establish a wifi hotspot and backup options to keep municipal systems and employee laptops functioning and able to share emergency information. The town also obtained digital signs as well as good old fashioned sandwich boards and bulletin boards, ham radio capabilities, and they even formed a volunteer team of people willing to knock on people’s doors to share important information and check on neighbors. Although Washington Township is just one of New Jersey’s 565 municipalities, another Inform and Engage grantee, Sustainable Jersey, seeks to spread the important example set by Washington Township to the rest of the state.